In the quest for their first international appearance in Global showpiece the Gambia Volleyball team missed their chance in 4 nation’s zonal qualifier held in Praia, Cape Verde from 7th to 11th November 2013 where they failed in the wake of the final Zonal qualifiers. This latest development comes at the back of a successful campaign in the sub-zonal stage which was held in the Senegalese capital Dakar, in August this year. The Gambia had joined the host, Senegal and Guinea Conakry in the qualification process. The two teams that finish top of the group at the end of the triangular games will qualify to the continental and final stage of the qualification process. The tiny English-Speaking nation opened the campaign with a 3-1 victory to Cape Verde before yielding to Senegal by 3 sets to 0. Guinea failed to show up therefore Senegal and Cape Verde ultimately qualified for the Global Championships. The 2014 edition of the Federation International de Volleyball (FIVB) Women’s Volleyball World Championship will be held in the Southern European country of Italy from September 23rd to October 12th 2014 and it will be contested by 24 teams. The regional qualification stage will determine the 24 teams that will compete in the championship proper. Host Italy is granted automatic qualification but defending champions Russia was made to ensure qualification through a qualifying round. Regional governing bodies were allocated the remaining 23 spots. Africa was granted two, Asia four, North America six, South America two, and Europe nine places with Italy making it ten. As well as Italy, eight other countries in Thailand, Japan, Russia, Germany, Brazil, China, Kazakhstan and Argentina have all booked their places in the championship that will be contested at six different venues. We had learnt our lesson, Head Coach Corporal Lamin F. Bargie said. We had a late preparation, we lack match fitness and we were daunted by the weather. The qualification was a rough one but will argue if people said we failed woefully, this is the first time the Gambia female volleyball team won a set against Cape Verde in this kind of tourney, our performances forced their Minister of Sports to vacate the ground. Gambia need to recruit volleyball from grass root levels nurtured them and scout them for National duties. We need more competitive league he highlighted. My girls were comfortable after the first set, however the Cape Verdeans used their home advantage to confuse us, and they had more experience players than us so they easily overwhelmed my team. When asked if the failure was as a result of technical or Administrative, it is both, Bargie Lamented. The team Captain Mariama Sowe complaint of inexperience that affected the Gambian team, to be honest we lack experience compare to our counter parts who are professionals, we are not used to that kind of environment. We played hard in both games (Senegal and Cape Verde), we are disappointed for failing, I feel bad for missing Italy 2014 but I am sure next time we going to make it she chuckle. The team manager Mr. Kalilou Bayo buttress similar sentiments. We lacked proper training and funding but thanks to the support of the Ministry of Youths and sports under the stewardship of Alieu K. Jammeh, we were able to participate peacefully, the ministry air lifted the team to the island nation so we are very grateful to them. The national team did well in Praia he said. We need more facilities and more coaching courses to horn the skills of the local coaches Mr. Bayo quoted. Women in sports in Gambia is gradually springing up, last year the Nation’s female football team competed in the FIFA women U-17 world cup held in Azerbaijan. 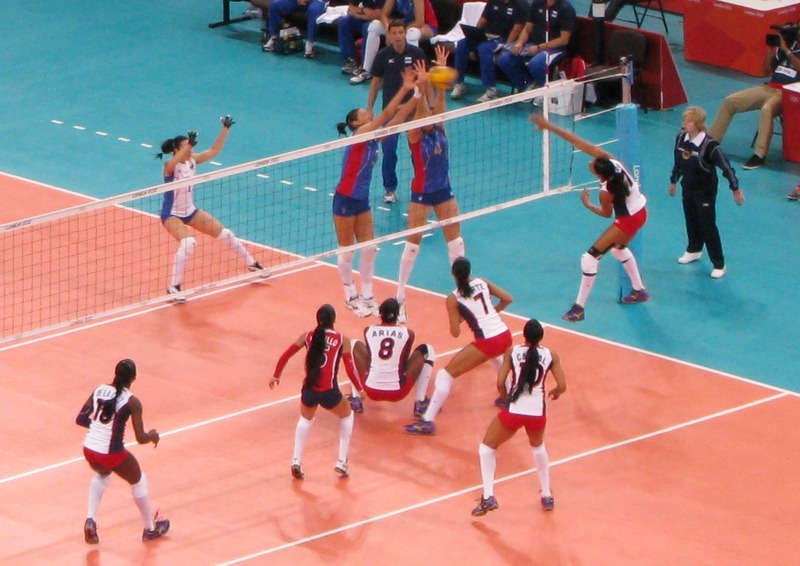 And the recent participation of the female volleyball team in Cape Verde acted as a barometer for the call of mass women participation in sports. The country missed to qualify for FIVB world volleyball championships in Italy 2014, however there is still hope for future competitions.